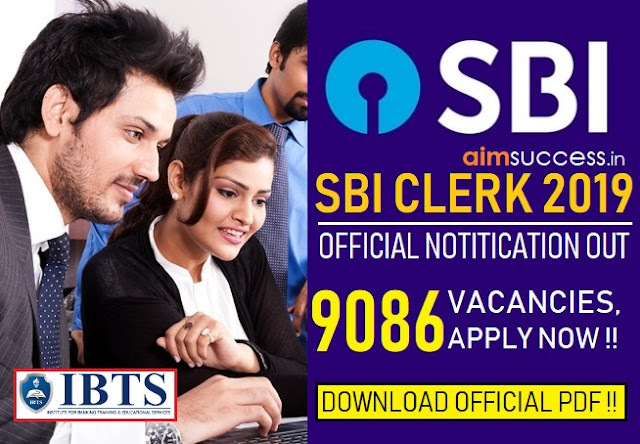 Home BANK-EXAM FRESH-VACANCY SBI sbi-clerk SBI Clerk Notification 2019 Out: 9086 Vacancies, Apply Now!! Download PDF! SBI Clerk Notification 2019 PDF is Out! State Bank of India has released the SBI Clerk 2019 official notification for Junior Associate (Clerical cadre) recruitment in the bank for total 9086 vacancies.The online application for SBI Clerk 2019 exam started on 12th April 2019. You can download SBI Clerk Official Notification 2019 PDF from the link provided below. We’ve shared SBI Clerk 2019 recruitment details including important dates, eligibility criteria, and the number of vacancies in this post. The SBI Clerk Prelims exam will be held in June 2019. ₹11765-655/3-13730-815/3-16175-980/4-20095-1145/7-28110- 2120/1- 30230-1310/1-31450. The starting Basic Pay is `13075.00 (`11765.00 plus two advance increments admissible to graduates. On the basis of Written Test. SBI Clerk Apply Online 2019: SBI Clerk notification 2019 has been released! The link to apply online for SBI Clerk 2019 is now active. Candidates willing to apply online for the post of SBI Junior Associate (Clerical Cadre) can fill out the SBI Clerk online application form the direct link shared below. The last date of online registration for SBI Clerk 2019 recruitment is 3rd May 2019. SBI Clerk Apply Online 2019, Fill Online Form Here! Candidates log on to https://ibpsonline.ibps.in/sbijascapr19/. 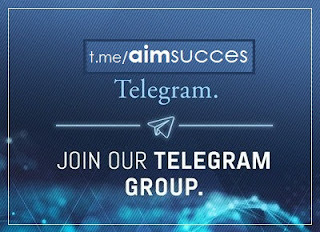 Read the information carefully & Click on "Continue". To discuss your queries regarding PNB Recruitment or any other government exam Stay connected and Discuss below to talk to your fellow aspirants and our experts.